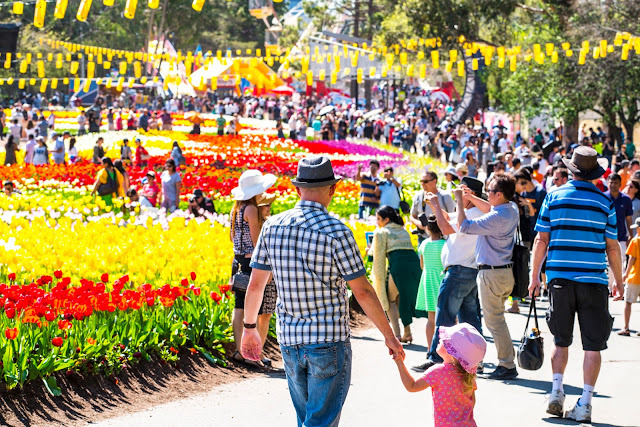 Canberra's fabulous flower show known as Floriade will transform the nation's capital this Spring as the city bursts into bloom for the festival's 30th anniversary year. Here are five reasons you need to celebrate Australia's premier spring celebration. This year's Floriade will feature amazing works of art that are set to transform Canberra’s Commonwealth Park. The masterpieces have been created by a mix of local and national talent, using everything from natural stone through to repurposed plastic. 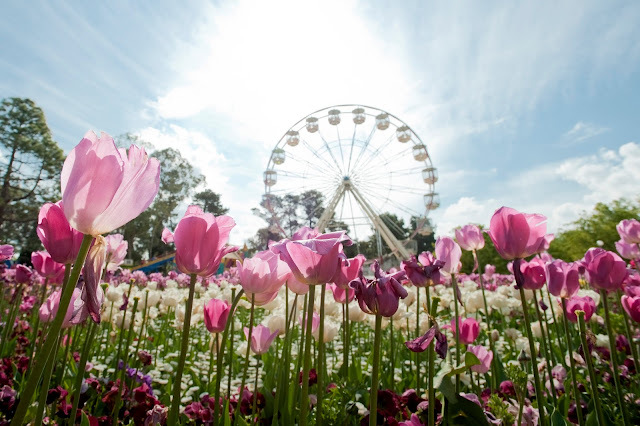 There will also be amusement park rides designed to give visitors a bird's eye view of the flowers. 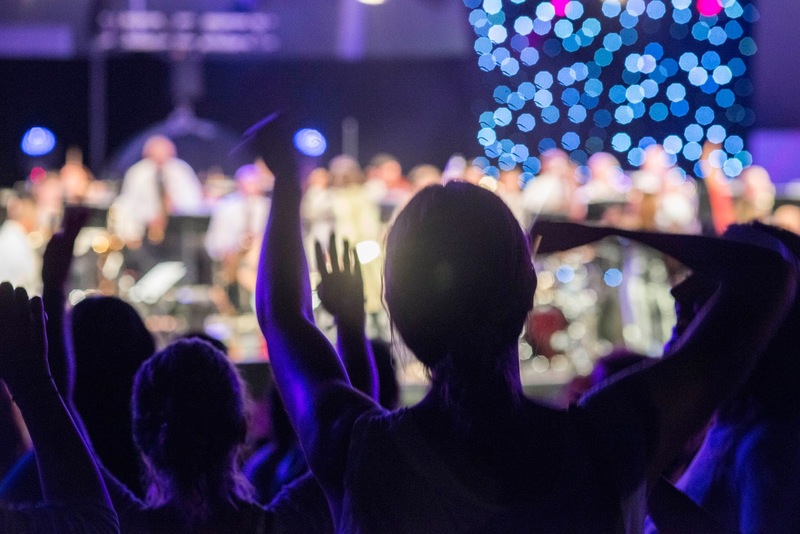 The inaugural twilight concert will celebrate this year's 30th anniversary of Floriade. 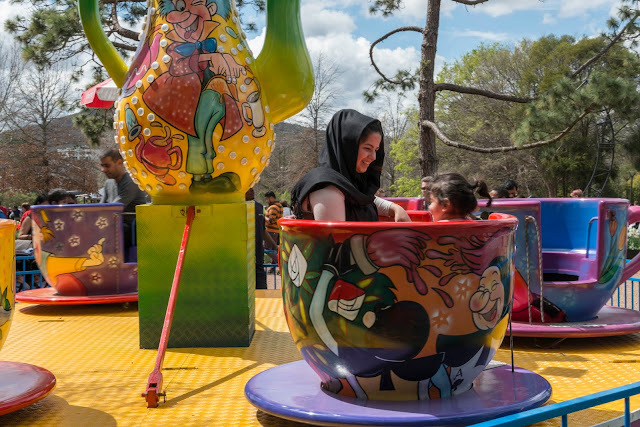 To celebrate three decades of being in bloom, this year's Floriade will include an open air musical performance by The David Bowie Tribute band, which is to supported by the Canberra Symphony Orchestra. This ticketed event offers an exclusive opportunity for visitors to see the 2017 flowerbed designs before the gates officially open the next morning. On Saturday, October 14, dog lovers will be able to bring along their four-legged friends as Floriade's popular Dogs' Day Out returns. 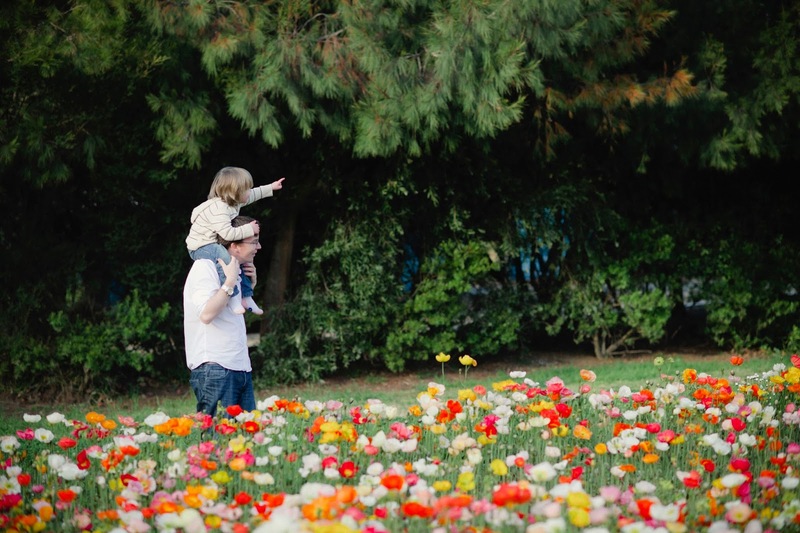 There will be so much to see and do for children at this year's Floriade 2017. Floriade offers something for the whole family in 2017 with an impressive roster of activities for children designed to encourage them to stop and smell the tulips, explore, discover and play. The kiddie-friendly activities on offer include hands-on cooking demonstrations and circus workshops. Floriade is a celebration that will surprise and delight the entire family. Wow,such a nice place to visit.I can plan for my Next trip there,Thanks for sharing! !